The government has failed to auction spectrum for third generation (3G) and fourth generation (4G) services based on the spectrum policy implemented last year. This has resulted in delays in making new services available in the market and left the telecom sector hard hit. In November 4 last year the Ministry of Information and Communications (MoIC) had introduced the “Telecommuni-cation Service Radio Frequency (Distribution and Pricing) Policy 2012”, fixing new pricing for frequencies and plan for effective distribution of the scarce resource. However, officials at the Nepal Telecommunications Authority (NTA) admit that the policy has become just a guideline to collect a spectrum fee rather than pushing for development in the sector. Two major telecom companies, Ncell and Nepal Telecom (NT), have been planning to roll out 4G service for the last three years and had sought spectrum required for the this technology. Based on the policy, the MoIC was supposed to form a committee to study the international practice, pricing and auctioning procedure, however this has not made any headway to date. The spectrum policy was devised with a focus on the auctioning of high value spectrum such as 3G and 4G, re-framing these resources, and carrying out regulatory monitoring by the MoIC and NTA on use of airwaves by the telecom companies. It had also talked about taking back the frequencies from companies that are using more than government set limit, and fixing frequency for emergency telecommunication management. The policy has not been implemented effectively due to the controversies regarding the appointment of NTA Chairman Digambar Jha and unified telecom licence, according to the Nepal Telecommunications Authority (NTA) which is responsible for implementing the policy. The authority only collected fees based on the policy from the telecom companies and assigned 2 Mhz spectrum to Smart Telecom that received the unified licence or Basic Telephone Service amid the controversy. Ananda Raj Khanal, acting chief of the NTA, said that they were focusing on frequency fee collection in the absence of a Chairman to make policy level decisions. “We are just waiting for the court’s decision regarding the NTA Chairman and the unified licence,” he added. Currently, a case against the appointment of NTA Chairman Digambar Jha is under consideration of the Supreme Court. Similarly, cases regarding the unified licence are also subjected in the court. The existing Telecommunications Act holds NTA Chairman as the key person on making any policy decisions. Based on the policy, the NTA collected around Rs 3 billion spectrum fees from telecom companies and this is considered as one of the best results of the policy impact. The amount collected includes: charges for 3G spectrum assigned to Ncell and NT, fees for additional and maximum spectrums being used by companies and limited mobility service. Previously, there was no specific provision regarding charges on 3G frequency. 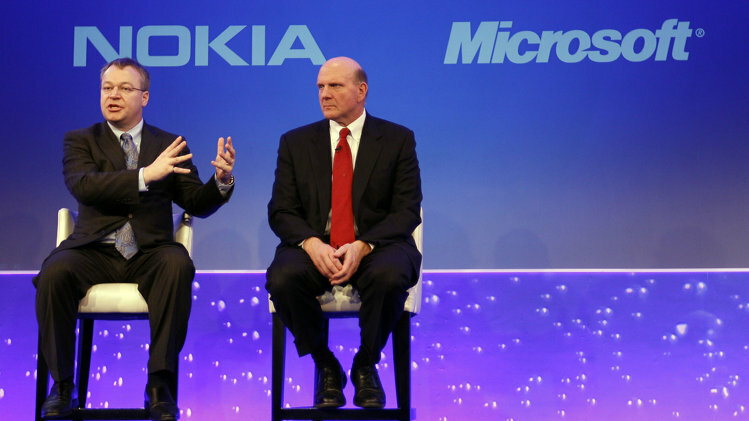 Microsoft has agreed a deal to buy Nokia's mobile phonebusiness for 5.4bn euros ($7.2bn; £4.6bn). Microsoft Corp. struck a $7 billion deal to acquire Nokia Corp.'s core cellphone business, a bold move to try to catch up in a fast-growing mobile business that is now dominated by Samsung and Apple. The deal comes on the heels of announcing the planned retirement of Microsoft Chief Executive Steve Ballmer. As part of the deal for the devices-and-services business, Microsoft will bring aboard several executives who could be contenders for Mr. Ballmer's job. 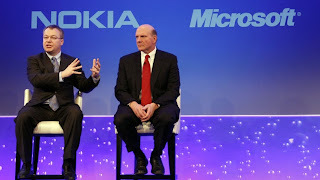 Nokia will also license its patents and mapping services to Microsoft. Nokia shares jumped 35% on the news, whereas Microsoft's fell more than 5%. The purchase is set to be completed in early 2014, when about 32,000 Nokia employees will transfer to Microsoft. Nokia has fallen behind rivals Samsung and Apple, while critics say Microsoft has been slow into the mobile market. Describing the deal as a "big, bold step forward", Microsoft chief executive Steve Ballmer told the BBC that his company was in the process of transforming itself from one that "was known for software and PCs, to a company that focuses on devices and services". "We've done a lot of great work in the two-and-a-half years that we've been in partnership with Nokia, going literally from no phones to 7.4 million smart Windows phones in the last quarter that was reported," he said. But he admitted: "We have more work to do to expand the range of applications on our product." The findings were published recently in the early online edition of ACS Nano. The immune system is good at its job, but it's not perfect. Most cancerous cells, for example, are able to avoid detection by the immune system because they so closely resemble normal cells, leaving the cancerous cells free to multiply and grow into life-threatening tumors while the body's only protectors remain unaware. "What we are working on is specifically geared toward breast cancer," said Dhar, the study's co-author and an assistant professor of chemistry in the UGA Franklin College of Arts and Sciences. "Our paper reports for the first time that we can stimulate the immune system against breast cancer cells using mitochondria-targeted nanoparticles and light using a novel pathway." In their experiments, Dhar and her colleagues exposed cancer cells in a petri dish to specially designed nanoparticles 1,000 times finer than the width of a human hair. The nanoparticles invade the cell and penetrate the mitochondria -- the organelles responsible for producing the energy a cell needs to grow and replicate. They then activated the nanoparticles inside the cancer cells by exposing them to a tissue-penetrating long wavelength laser light. Once activated, the nanoparticles disrupt the cancer cell's normal processes, eventually leading to its death. "We are able to potentially overcome some of the traditional drawbacks to today's dendritic cell immunotherapy," said Sean Marrache, a graduate student in Dhar's lab. "By targeting nanoparticles to the mitochondria of cancer cells and exposing dendritic cells to these activated cancer cells, we found that the dendritic cells produced a high concentration of chemical signals that they normally don't produce, and these signals have traditionally been integral to producing effective immune stimulation." Dhar added that the "dendritic cells recognized the cancer as something foreign and began to produce high levels of interferon-gamma, which alerts the rest of the immune system to a foreign presence and signals it to attack. We basically used the cancer against itself." "We particularly hope this technique could help patients with advanced metastatic disease that has spread to other parts of the body," said Dhar, who also is a member of the UGA Nanoscale Science and Engineering Center, Cancer Center and Center for Drug Discovery. Once in the bloodstream, the newly activated cells would alert the immune system to the cancer's presence and destroy it. 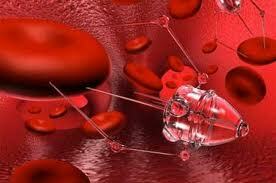 "These are the things we can now do with nanotechnology," Dhar said. "If we can refine the process further, we may be able to use similar techniques against other forms of cancer as well." Researchers at the University of Georgia are developing a new treatment technique that uses nanoparticles to reprogram immune cells so they are able to recognize and attack cancer. Fight! Google and Microsoft are locked in a war of words after the Big G banned the YouTube app for Windows Phone a second time. Google has blocked the new version of the app, for purported violations of its rules, after barring a previous version. But Microsoft has blasted Google's "excuses". "Google's reasons for blocking our app are manufactured so that we can't give our users the same experience Android and iPhone users are getting," claims Microsoft lawyer David Howard. "The roadblocks Google has set up are impossible to overcome, and they know it." 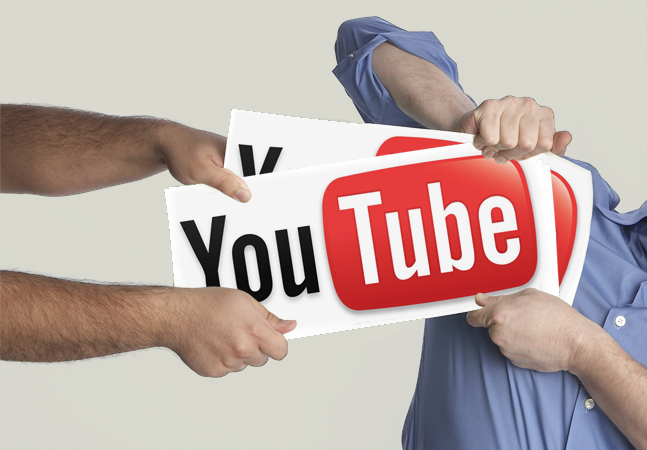 Microsoft's first attempt at a YouTube app was blocked by Google for not showing ads. Google then demanded the new app be built in HTML5 rather than as a proprietary Windows Phone app -- despite the fact neither Apple or Android versions of the video app are built in HTML5. Google also cites problems with the app's branding, and problems with ads. Microsoft says the branding has never been a problem in previous years, and the ad issue is dependent on information from Google that the search company has yet to provide. Google responds, "Unfortunately, Microsoft has not made the browser upgrades necessary to enable a fully featured YouTube experience, and has instead re-released a YouTube app that violates our terms of service. It has been disabled." Is Google unfairly penalising Windows Phone over Apple and Android -- or is Microsoft trying to get away with peddling a substandard app? Metal composite material (MCM) is a type of sandwich formed from two thin skins of metal bonded to a plastic core in a continuous process under controlled pressure, heat, and tension. Recycled paper is also now being used over a closed-cell recycled kraft honeycomb core, creating a lightweight, strong, and fully repulpable composite board. This material is being used for applications including point-of-purchase displays, bulkheads, recyclable office furniture, exhibition stands, and wall dividers. To fix different panels, among other solutions, a transition zone is normally used, which is a gradual reduction of the core height, until the two fiber skins are in touch. In this place, the fixation can be made by means of bolts, rivets, or adhesive. The outer skins: If the sandwich is supported on both sides, and then stressed by means of a force in the middle of the beam, then the bending moment will introduce shear forces in the material. The shear forces result in the bottom skin in tension and the top skin in compression. The core material spaces these two skins apart. The thicker the core material the stronger the composite. This principle works in much the same way as an I-beam does. The interface between the core and the skin: Because the shear stresses in the composite material change rapidly between the core and the skin, the adhesive layer also sees some degree of shear force. If the adhesive bond between the two layers is too weak, the most probable result will be delamination. Sandwich structures can be widely used in sandwich panels, this kinds of panels can be in different types such as FRP sandwich panel, aluminum composite panel etc. FRP polyester reinforced composite honeycomb panel (sandwich panel) is made of polyester reinforced plastic, multi-axial high-strength glass fiber and PP honeycomb panel in special antiskid tread pattern mold through the process of constant temperature vacuum adsorption & agglutination and solidification. A duo of British designers' passion for cycling and life-long dreams of flight has spawned one of the world's first flying bicycles -- a conventional bike that converts to an easy-to-operate aircraft that they say can soar to 4,000 feet and cover 75 miles-plus after liftoff. Yannick Read, 42, and John Foden, 37, who met while living on the same road in Kingston upon Thames, England, quickly learned that aside from both being designers and avid cyclists, they always wanted to fly. The two decided to partner on what they saw as the next step in cycling: aviation. "Growing up we wanted to be pilots," Read told ABCNews.com. "But training and maintenance and cost are real barriers. We wanted to create an aircraft that was as accessible, relatively speaking, as could be." 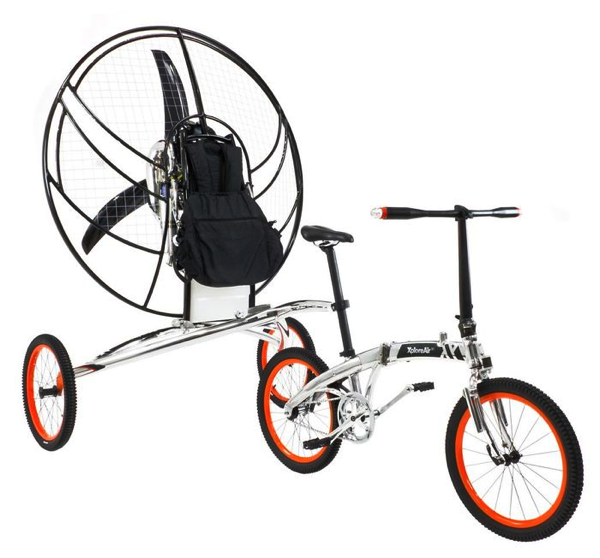 Read said he sent a long-shot email to Jim Edmondson with British paramotor manufacturer Parajet in March 2011, in which he outlined the duo's design and concept for their flying bike. To his surprise, he was quickly greeted with an enthusiastic response. Read and Folden were encouraged to widen their concept and told they could have the Jim Edmondson's assistance and support. A different kind of flying bicycle recently achieved liftoff in Prague. Read more here. The duo began to pen out ideas and concepts for what eventually became the Paravelo, a combination of a para-wing and a conventional bike, which tows a trailer carrying a powerful fan. Once in an open clearing, the cyclist can unfurl the para-wing, start the fan with an electric-start motor and, within a matter of yards, be airborne. Read and Foden began a Kickstarter campaign this week with a goal of reaching £50,000 (about $78,000) to launch what he they're calling "safe, practical and affordable personal flight." "We built a series of prototypes, and the current one is fairly polished," he said. "The next version, with funding, would be to develop, to ruggedize it, make it more robust, the way we envision it being used -- as a bicycle Monday to Friday. You will be able to commute on the bike. Then, make use of the flying capability." Read says the latest prototype, which he describes as the size of a flight suitcase, can fit in the trunk of a car. "It's a niche product. We're not going to see cities with these swarming through the skies," Read said. "It's an unusual and adventurous evolution for the bicycle." But is the flying bicycle, which in the U.K. doesn't require a special license to operate and is unregulated, totally safe for the average user? Read says it is. "It's safe because of low air speeds. You're flying about 25 miles per hour, that low speed makes it so safe," he said. "In terms of controlling, it's like controlling a little Vespa scooter." Training for flight in the Paravelo, Read says, can be completed in as little as seven days and, he adds, the vehicle could be useful for a number of professions, including park rangers and border patrol, as well as being a great addition for the adventurous weekender. The prototype even features a built-in tent for what read calls "flamping," or flying and camping. As for his and Foden's crowd-funding campaign, Read sees it not just as a way to help his dream take flight, but as exploratory means to gauge reaction and interest. "Were being up front and saying that it looks pretty, and it works," he said. "We want to show it's a robust, practical, usable machine, that won't work just the day you buy it, but for many, many years. Samsung's Galaxy S4 line gets another family member in the Samsung Galaxy S4 Active, a hardened, ruggedized spin off of the company's flagship model. Waterproof to a meter below the surface and for up to 30 minutes, the Active carries on computing with Android 4.2 Jelly Bean, Samsung's TouchWiz interface, and a 1.9GHz quad-core processor, the same as its more delicate Galaxy S4 sibling. Many of its other specs are also similar, but one that stands out is the camera, whose 8-megapixel module can take this bad boy under the waves with its brand-new aqua mode. I love that Samsung has finally made waterproofing a feature rather than a fail-safe against damage. A lot of other rugged handsets that make the same waterproof claims stop short of turning the capability into a real benefit. The handset's lower-caffeinated camera compared with the original GS4's may seem like a downgrade for some, but for the S4 Active's price of $199.99 on AT&T, its rugged features are a pretty fair compromise. We'll know a lot more when the phone launches on June 21 (see the teaser video above). 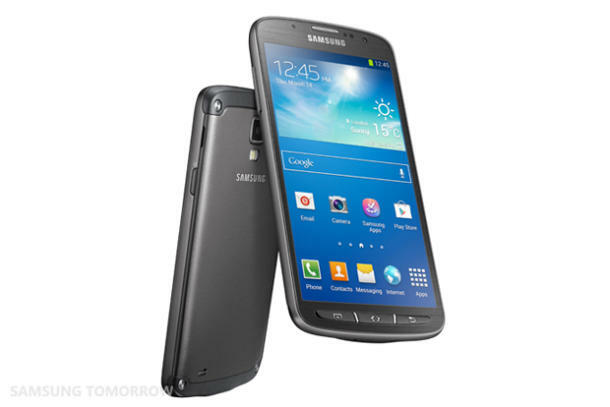 Our team will also plan to get our hands on the Galaxy S4 Active on June 20 in London. Since the Galaxy S4 Active arrives this summer, I have a feeling we're going to have a heck of a time testing out its aqua camera mode firsthand. Pool party, anyone? A new study confirms directly what scientists previously knew only indirectly: The poisonous "rotten egg" gas hydrogen sulfide is generated by our body's growing cells. Hydrogen sulfide, or H2S, is normally toxic, but in small amounts it plays a role in cardiovascular health. In the new study, chemists developed a chemical probe that reacts and lights up when live human cells generate hydrogen sulfide, says chemist Alexander R. Lippert, Southern Methodist University, Dallas. The discovery allows researchers to observe the process through a microscope. The researchers captured on video the successful chemical probe at work, said Lippert, an assistant professor in the SMU Department of Chemistry. "We made a molecular probe that, when it reacts with hydrogen sulfide, forms a fluorescent compound that can be visualized using fluorescence microscopy," Lippert said. "This is the first time that endogenously generated hydrogen sulfide has been directly visualized in a living system. This confirms a lot of hypotheses that scientists have, but no one had the tools to directly detect it in real time." H2S is one of several small gaseous molecules increasingly recognized as key signaling molecules in the body. For example, H2S helps reduce high blood pressure. Scientists discovered in the past decade that cells in the human body generate small quantities of H2S molecules, which in turn deliver information to proteins. The proteins act on the information to perform critical functions in the body. Previously, scientists couldn't observe H2S being generated in live cells. As a result, researchers faced challenges when studying hydrogen sulfide in living systems, Lippert said. The new discovery now provides a tool to view directly how and when hydrogen sulfide is generated, he said. Lippert and study co-author chemist Vivian S. Lin made the discovery. "Having the tools to do this in living systems is going to open up a lot of possibilities and experiments for scientists," Lippert said. "As a tool, this will allow researchers to ask questions that weren't possible before." Lippert's real-time video features live human cells, taken from the lining of blood vessels and treated with the chemical probe and with a protein known to promote cell growth. Once the cells start generating H2S, they behave like squiggly fluorescent green worms. The researchers' scientific article, "Cell-trappable fluorescent probes for endogenous hydrogen sulfide signaling and imaging H2O2-dependent H2S production," was published online in theProceedings of the National Academy of Sciences. Lippert and Lin authored the research with Christopher J. Chang, principal investigator. Lin is a PhD candidate at the University of California at Berkeley. Chang is with the Howard Hughes Medical Institute, University of California at Berkeley. Lippert and Lin carried out the research in Chang's UC Berkeley laboratory. H2S -- along with nitric oxide, carbon monoxide and others in this emerging class of gaseous signaling molecules -- assists the body's large proteins. Large proteins do much of the functional work in the body, such as digesting the food we eat and harnessing the energy in the oxygen we breathe. Their size, however, forces them to move slowly inside the cell. In contrast, H2S and other small gaseous molecules diffuse quickly and easily across cellular membranes, enabling them to travel much faster and rapidly deliver information that mediates critical functions, such as blood pressure regulation, Lippert said. For their experiments, Lippert and Lin placed living endothelial cells cultured from the internal lining of a blood vessel into a petri dish under a microscope. Lippert and Lin then added a chemical solution containing an azide-functionalized organic molecule that they'd synthesized to act as a molecular probe. They gave the cells time to absorb the probe, then added a protein solution known to stimulate blood vessel formation. As the cells initiated blood vessel formation, H2S was generated. In reaction, the scientists observed a steady increase in the probe's fluorescence. "Essentially we're observing the initial events that lead to the building of new blood vessels, a process that's active in babies as they develop, or in women during their menstruation cycles," Lippert said. "We see the cells get really bright as they start moving around and ruffling their membranes. That's the H2S being formed. In the control group, which weren't stimulated with the growth protein, they don't get any brighter and they don't move around." The discovery provides new insights that can help scientists attack diseases, such as cancer, by starving the nutrient supply to a tumor, Lippert said. "When tumors grow they need a lot of blood support because they need the nutrients to support their rapid growth," he said. "If you can stop blood vessel formation you could starve the tumor and the tumor will die. So inhibiting H2S formation might be a way to treat cancer using this method." Apple made the screen bigger last time. Is an even bigger iPhone on the way? When Apple unveiled the iPhone 5, the reaction was a bit muted: where previous phones were massive leaps forward, the iPhone 5 was a bit longer and a lot easier to scratch. So what can we expect from the next iPhone, the iPhone 6 or 5S? Let's see what we can glean from the varying sources of the internet - some reliable, some not so much. But when might the iPhone 6 release date even be? The rumour mill doesn't seem too sure whether the next iPhone is going to be the iPhone 5S or the iPhone 6. Given the iPhone's history - from the 3G onwards, there's always been a half-step S model before the next numbered iPhone - we'd bet on an iPhone 5S first and an iPhone 6 a while later. However, in May 2013 Stuff reported it received a photo of the till system at a Vodafone UK store (which it has since removed along with the reference to Vodafone), with '4G iPhone 6' listed. Interesting. It's been suggested that there could even be three size variants of the new iPhone - check out these mocked up images by artist Peter Zigich. He calls the handsets iPhone 6 Mini, iPhone 6 & iPhone 6 XL. Could we see both an iPhone 5S and iPhone 6 this year? Some reports suggest a new 5S in the middle part of the year before a revamped iPhone 6 towards the end of the year or very early in 2014. Many pundits predict a summer iPhone 6 release date. It's quite likely that Apple is moving to a two-phones-per-year upgrade cycle, but we'd bet on a springtime 5S model and a bigger, iPhone 6, update in the Autumn, probably September. Digitimes reckons predicts a summertime reveal for Apple's next generation phones, which again fits with a WWDC unveiling. In May it became clear that US carrier Verizon introduced an iPhone 5 price cut of as much as $100 USD. Reports in April also suggested that Foxconn has added as many as 10,000 assembly line workers per week to its Zhengzhou plant as it readies itself for the iPhone 6 release date. But Jefferies analyst Peter Misek reckons we'll see an iPhone 5S first, with a June 2014 release for the iPhone 6. Citi's Glen Yeung also believes that we won't see an iPhone 6 or cheap iPhone until 2014. It's unclear whether such cases would be for the iPhone 5S or iPhone 6, or if Apple is simply considering making cheaper iPhone 4s to sell when the iPhone 3GS reaches the end of its life. Speaking in March 2013, a KGI analyst said it believed Apple would turn to manufacturer Pegatron to make up to 75 per cent of low cost iPhone products. Indeed, rumours in early June 2013 pointed at a $399 price point for the cheap iPhone 6. Pretty, yes, but also horrifically scratch-prone. Will your next iPhone have a plastic back? That's what iDownloadblog reckons, quoting Jefferies analyst Peter Misek: it'll have a better battery too, he says. Many Android phones now boast NFC. PayPal's chief information security officer, Michael Barrett said this during a recent keynote speech: "There is going to be a fingerprint enabled phone on the market later this year," he said. "Not just one, multiple." Could this be inside the iPhone 6? iOS 7 has been announced at WWDC 2013. It's a radical overhaul of the OS, especially in terms of the design which has fundamentally changed and is far flatter and more Android-like. There are rounded icons, striking colours and a stark font. There are new features, of course, such as Control Center, AirDrop and iTunes Radio. 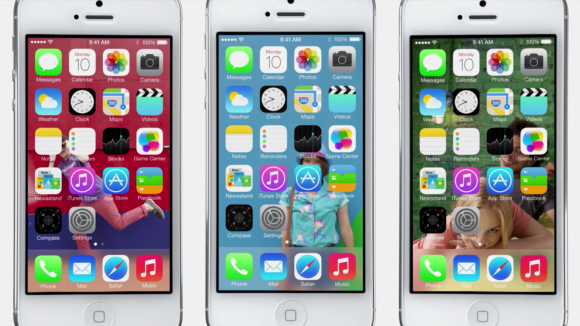 We're expecting a September or October release date for iOS 7 in line with previous releases. We've already seen a 128GB iPad, so why not a 128GB iPhone 6? Yes, it'll cost a fortune, but high-spending early adopters love this stuff. According to Business Insider, of the many iPhone 6 prototypes Apple has made, one has a giant Retina+ IGZO display and a "new form factor with no home button. Gesture control is also possibly included" - more on that shortly. Mind you, it was mooted that Apple would dump the home button in time for iPhone 5, but it never happened. The Retina+ Sharp IGZO display, would have a 1080p Full HD resolution. It's also been widely reported that Apple could introduce two handset sizes as it seeks to compete with the plethora of Android devices now on the market. Take this one with a pinch of salt, because China Times isn't always right: it reckons the codename iPhone Math, which may be a mistranslation of iPhone+, will have a 4.8-inch display. The same report suggests that Apple will release multiple handsets throughout the year over and above the iPhone 5S and 6, which seems a bit far-fetched to us. Patents show that Apple has been thinking about magical morphing technology that can hide sensors and even cameras. Will it make it into the iPhone 6? Probably not. Could the touch screen even be transparent? Emirates 24/7 sin't the first source we'd turn to for bone fide rumours about a new smartphone, but it claims that an ultra-sensitive transparent touchscreen will make it into iPhone 6. The site also believes the display will be made by Sharp, which wouldn't be so surprising. One thing's for sure - a potential wraparound screen is probably a pipedream. Jefferies analyst Peter Misek also says he believes the new iPhone will have a bigger screen. Different sizes also seem rather likely to us - the word on the street after WWDC 2013 was that there would be 4.7 and 5.7-inch versions. Not a huge surprise, this one: the current processor is a dual-core A6, and the next one will be a quad-core A7. The big sell here is more power with better efficiency, which should help battery life. Expect to see it in the 2013 iPad first, and expect to see an improved A6 processor, the A6X, in the iPhone 5S. Apple's bought camera sensors from Sony before, and this year we're going to see a new, 13-megapixel sensor that takes up less room without compromising image quality. One thing seems certain - Apple can't ignore the massive movement towards eye-tracking tech from other vendors, especially Samsung. It seems a shoe-in that Apple will deliver some kind of motion tech within the next iPhone, probably from uMoove. On its UK launch, just one UK network had 4G LTE: Everything Everywhere, which currently offers 4G on the 1800MHz band. 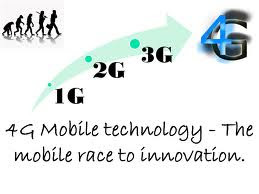 In 2013, all the other big names will be coming on board, offering 4G in other frequency bands. International iPhones already work across different 4G bands to the UK, so you can expect the UK iPhone 6 (and possibly the iPhone 5S) to be more promiscuous than the iPhone 5. By the time the iPhone 6 emerges, iOS devices should also have "nonclassified communication approval" status from the US FCC, which means they won't need to go through a lengthy approval process. Apple likes to lead Wi-Fi standards adoption - its Airport really helped make Wi-Fi mainstream - and there's a good chance we'll see ultra-fast 802.11ac Wi-Fi in Apple kit this year. It's faster than Lighting, and not very frightening. And could the iPhone 6 really have 3D? It's unlikely, but the rumours keep on coming. In Nepal and other Asian Countries of withdraw our money from online is very hard. There are so many problem to withdraw money from nepal. PayPal do not support Nepal and many other Asian Countries and payza not give payza card in nepal and suspend our account. we can’t get any solution for withdraw payment online But today i am happy to tell you that I had found a solution of this permanent problem. And You can now withdraw money with the help of Prepaid MasterCard in Nepal. 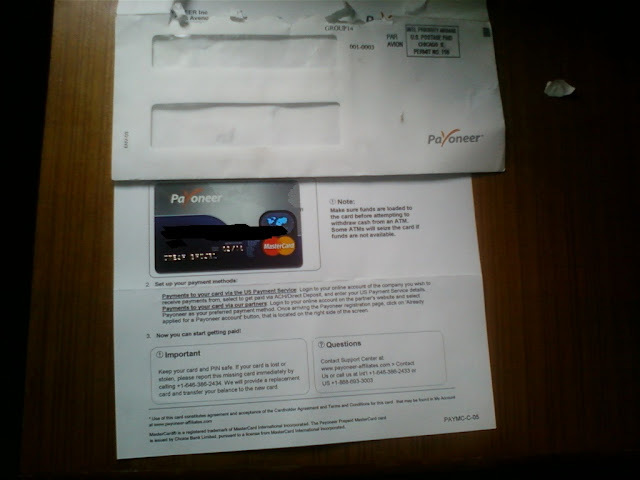 I want to give idea to got free master card with free get $25 in nepal with in one month with very easy steps. 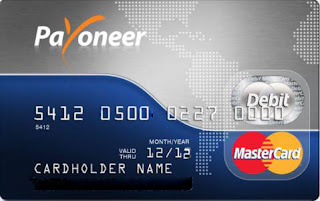 There are so many master card but Payoneer master card is best all of them because it will give you US bank account free so you can easyly verify you paypal account with this bank account so lets know about payoneer. 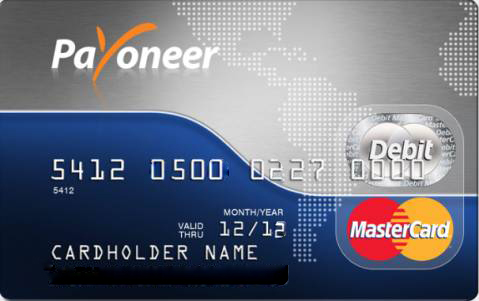 What is Payoneer Prepaid Master Card? Use it in stores, online, or at the local ATM near you. How To Apply For a Payoneer Prepaid Master Card? Then click the Sign up button and start sign up process, with three step they are first Personal Details where you give detail information about yourself , At the same time you can see your master card design , Second : Give your Account Information and finelly third: Personal Verification ie valid your account by your nationality or other required document and valid your email address etc. After around one month you will got this master card on your house this is sample for you. Then active your Card according to given information and got free $25 with this master card. Thank you !